A Bhutan yoga adventure tour is an experience full of wonders and charms, an adventure that will inspire and enrich you for years to come. Bhutan culture is preserved by issuing only a limited number of tourist visas each year, so they are able to welcome visitors sustainably, preserving its endemic and natural beauty. In this world apart, you’ll discover a moving feast of culture, nature, and infectious local smiles. 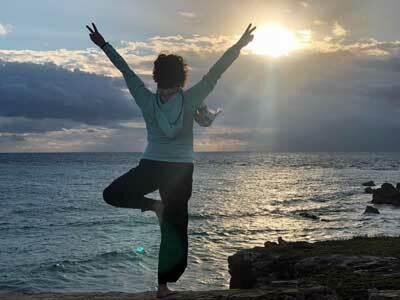 It’s an ideal destination for personal enrichment – and for deepening your yoga practice. Your Bhutan yoga retreat will weave together the best of the country’s culture and nature. Explore ancient fortresses and temples, where you’ll mingle with monks and hang prayer flags. Bhutan hiking, Bhutan culture and Bhutan nature are all at your fingertips as you ride rapids, explore mountain trails and discover this fascinating country. Set aside your stresses and bring your sense of wonderment and humor to this awe-inspiring place they call the Land of the Thunder Dragon. Your Bhutan adventure will take you alongside welcoming locals who measure their life and success by Gross National Happiness; not a bad way to find a little peaceful bliss of your own. Join Janet Corvino for the ultimate 10-day yoga adventure to Bhutan. The “Loving Kindness Retreat” will embrace the basic teachings of Bhutanese culture through the daily practice of yoga. Each day, you will experience either a yoga practice to unwind tight muscles from travel or restorative sessions to center the spirit after excursions. You’ll flow through practices mixed with alignment and wisdom based themes with efficient action and soul searching teachings. Janet teaches to all levels and provides modification and variations as needed. You will find Janet generous with her support and deeply devoted to her students. The retreat will tap into the GNH (Gross National Happiness) philosophy of Bhutan’s collective happiness through exploration of the simple meditation practice of “Loving Kindness” to deepen your understanding of self and others around you. Have you ever been to a country that values the happiness of everyone that lives there? Bhutan is the only country in the world that measures the GNH or Gross National Happiness of individuals as a sign of prosperity. Bhutan is also the only country in the world to hold the title of being a negative carbon country with over 70% of its country under forest cover. Bhutan has only been open to visitors since 1974 and takes conservation of its culture and the tourist footprint very seriously limiting the number of visitors each year. Our first nights in Bhutan grant you stunning panoramic views and a blend of natural beauty and modern comforts. Soak up the local Bhutanese artwork, the organic garden and the artful architecture of your own room, designed to enhance the sunlight and wonder of the natural scenery just outside your door. From the river we head to the forest and gorgeous views of the Punakha Valley below. Contemporary design melds perfectly with cultural aesthetics from the quiet of reception to the simple luxury of the rooms with their individual meditation-inspiring balconies. Bhutanese art and culture are felt in the colors and woodwork of the awe-inspiring reception hall and in the subtle accents in each room of this 5-star, wholly Bhutanese owned, boutique hotel. Spacious rooms, all with sitting areas and balconies, include the modern comforts of wifi and heated floors for a luxury in-room experience. The hotel boasts a temple, built from the 450 year old timber of the Gangtey Monastery, on the second floor and an outdoor Meditation and Tea House to complete the beauty out-of-doors. Noted as one of National Geographic’s Unique Lodges of the World, your stay is a stunning way to end your time in Bhutan. Board your included flight from Bangkok to Paro and to begin your unique Bhutan yoga retreat and ten days of amazing cultural exploration. Group dinner and welcome to Bhutan! Raft through the stunning Bhutanese backdrop and by the 17th century Punakha Dzong – no experience necessary, just a willingness to paddle and get wet! It's hard to say what I enjoyed most, because the trip was so awesome. What made it truly wonderful was the spectacular yoga teacher, Gia Parker, and the spectacular local guide, Tashi. The scenery was magnificent and awe inspiring. The spiritual atmosphere of the entire country is remarkable. The local people are lovely. The accommodations were excellent. The hike to the Tiger's Nest and the yoga - all so amazing! Tashi was a fantastic guide and the hikes to prepare us were beautiful!!! Enthusiastic and helpful yoga teacher. Listened to the group and tailored accordingly. Locations showed different parts of the country, which was nice (e.g., city vs. countryside). Wonderful hikes. Visiting local schools, houses and monasteries. Unique experience which will be very memorable. Would recommend using the same guide as he was able to organize some pretty cool stuff for us outside the itinerary. He was also knowledgeable and approachable. The driver was friendly and informative too. Bhutan was beyond amazing, it's beauty can't be imagined. 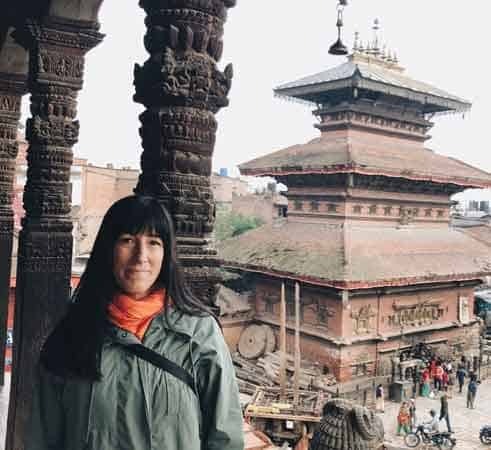 This is my fourth trip with Travel Yogi; Galapagos with Liz Arch, Iceland with Elizabeth Rowan, Kenya with Liz Arch and now Bhutan with Erica Jung. Travel Yogi is easy to deal with and I trust that the accommodations will always be top notch, I haven't been disappointed yet. The yoga is always equally spectacular as well, I enjoy getting personal instruction from A-list instructors. They have all been a treat. I can't think of a better way to see the world and have made great friends on every trip. I can't wait to start planning my next adventure to Vietnam and Cambodia! My wife and I love The Travel Yogi! Each of our 3 hotels went above and beyond my expectations and I'm sure we got the best guide in the entire country. I was nervous because the trip was so involved but The Travel Yogi was so helpful and quick to respond when I emailed questions. Thank you! You’ll want to schedule your flight into Bangkok (BKK) at least one day before the trip begins. We have your flight from Bangkok to Paro, Bhutan taken care of on day one of your trip, but flight times are determined closer to the trip so everyone needs to be in the night before. We’ll also fly you back to Bangkok on the last day of your adventure and we require that you not book any outbound flight from Thailand any earlier than 9pm on the last day. What is the passport/visa situation? All U.S. travelers will need a passport that is valid for at least 6 months beyond your date of arrival and have at least one blank page for entry stamps. We will be taking care of visas for all travelers and will require a full color, scanned copy of your photo passport page (photographs are not allowed). Entry information can change so please visit the State Department’s website for up to date information. Travelers from all other countries should check with their government for passport entry requirements. We will obtain visas for all travelers. What is the electrical currently/outlet situation in Bhutan? Electricity in Bhutan runs on 220V. Most U.S. based devices that need to be charged (including camera batteries, mp3 players, etc.) work with outlets ranging from 110–240 volts, so they typically do not require a power converter. However, it will be up to you to check your individual electronics. This information is located on the plug itself and is usually very easy to find. Outlet configurations in Bhutan are normally European-style: round, two- or three-pronged. As outlets can change from place to place, we recommend you bring an outlet adapter to ensure you do not have problems plugging your devices in. Hotel Zhiwa Ling in Paro uses U.S. outlets. Yes! Please note that travel insurance in required for all travelers and proof on insurance will be required on day one. All plans must include medical evacuation coverage. Please contact The Travel Yogi with any questions. Yes, all of our lux hotels will have wifi available. On this adventure, yes, it is necessary that you bring your own mat with you. Our guides will carry them for you, along with your luggage. A mat and a strap are good options but unless you absolutely need a block, we recommend you leave that at home. The Travel Yogi teachers that head out to Bhutan devise classes without props. There are no inoculation requirements at this time but it is suggested that you be up to date on your tetanus, typhoid and hepatitis A. Any questions about your specific inoculation needs to should directed to your personal physician in advance of this adventure.